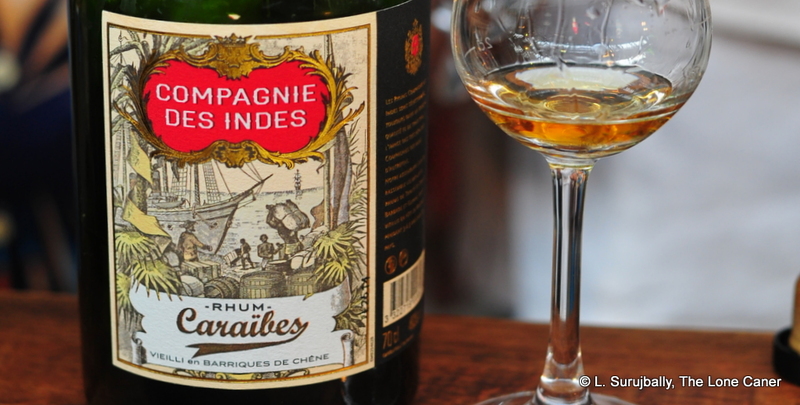 Lack of oomph and added sugar make it a good rum for the unadventurous general market. 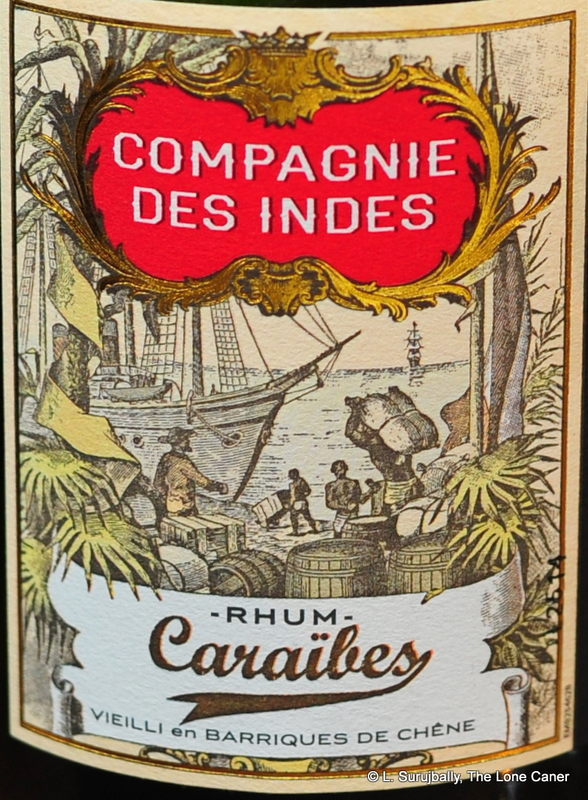 Your appreciation and philosophy of rum can be gauged by your reaction to Compagnie des Indes Caraïbes edition, which was one of the first rums Florent Beuchet made. It’s still in production, garnering reviews that are across the spectrum – some like it, some don’t. Most agree it’s okay. I think it’s one of the few missteps CDI ever made, and shows a maker still experimenting, still finding his feet. Brutally speaking, it’s a fail compared to the glittering panoply and quality of their full proof rums which (rightfully) garner much more attention and praise. To some extent that’s because there is a purity and focus to other products in the company’s line up: most are single barrel expressions from various countries, unblended with other rums, issued at varying strengths, all greater than the anemic 40% of the Caraïbes… and none of them have additives, which this one does (15g/L of organic sugar cane syrup plus caramel for colouring).That doesn’t make it a bad rum, just one that doesn’t appeal to me…though it may to many others who have standards different from mine. You know who you are. I know many makers in the past have done blends of various islands’ rums — Ocean’s Atlantic was an example — but I dunno, I’ve never been totally convinced it works. Still, observe the thinking that went into the assembly (the dissemination of which more rum makers who push multi-island blends out the door should follow). According to Florent, the Caraïbes is a mix of column still rums: 25% Barbados for clarity and power (the spine), 50% Trinidad & Tobago (Angostura) for fruitiness and flowers, and 25% Guyanese rum (Enmore and PM) for the finish. At the time, it didn’t occur to me to ask what the relative proofs of the various components were. The unmixed barrels were aged for 3-5 years in ex-bourbon casks in the tropics, then moved to Europe for the final marriage of the rums (and the additives). Where I’m going with this is to establish that some care and thought actually went into the blend. That it didn’t work may be more my personal predilections than yours, hence my opening remark. But consider how it sampled and follow me through my reasoning. The nose, as to be expected, channelled a spaniel’s loving eyes: soft and warm, somewhat dry, if ultimately too thin, with some of the youth of the components being evident. Flowers, apricots, ripening red cherries plus some anise and raisins, and unidentifiable muskier notes, it was pleasant, easy, unaggressive. The mouth was quite a smorgasbord of flavours as well, leading off with cloves, cedar, leather and peaches (a strange and not entirely successful amalgam), with vanilla, toffee, ginger snaps, anise and licorice being held way back, present and accounted for, very weak. The whole mouthfeel was sweeter, denser, fuller, than might be expected from 40% (and that’s where the additive comes into its own, as well as in taking out some sharper edges), but the weakness of the taste profile sinks the effort. Rather than smoothening out variations and sharpness in the taste profile, the added sweeteners smothers it all like a heavy feather blanket. You can sense more there, somewhere…you just can’t get to it. The rum should have been issued at 45% at least in order to ameliorate these effects, which carried over into a short, sweet finish of anise and licorice (more dominant here at the end), ginger and salted caramel ice cream from Hagen Dasz (my favourite). All right so there you have it. The 40% is not enough and the added sugar had an effect that obstructed the efforts of other, perhaps subtler flavours to escape. Did the assembly of the three countries’ rums work? I think so, but only up to a point. The Guyanese component, even in small portions, is extremely recognizable and draws attention away from others that could have been beefed up, and the overall lightness of the rum makes details hard to analyze. I barely sensed any Bajan, and the Trini could have been any country’s stocks with a fruity and floral profile (a Caroni it was not). In fine, this rum has more potential than performance for a rum geek, and since it was among the first to be issued by the company, aimed lower, catered to a mass audience, it sold briskly. Maybe this is a case of finance eclipsing romance…no rum maker can afford to ignore something popular that sells well, whatever their artistic ambitions might be. Fortunately for us all, as time rolled by, CDI came out with a truckload of better, stronger, more unique rums for us to chose from, giving something to just about everyone. What a relief.